The section's newest layout, originally titled Bolland Road & Riddle End, was renamed Bolland Road & Turton Green in honour of John Turton (pictured right), who sadly passed away shortly after our 2009 exhibition. The layout gives us continuous two-way running, with a fiddle yard at the back and a local branch running along the back. 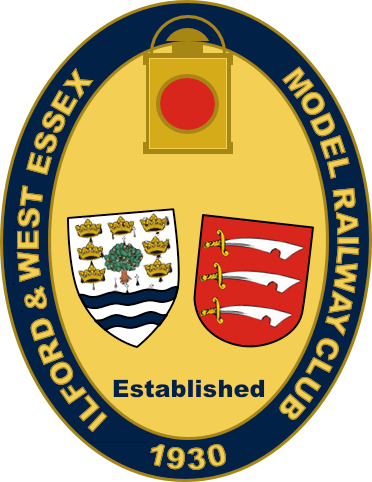 Members' own rolling stock is used on the layout. Bolland Road & Riddle End (as it was then) made its first public appearance at our 2009 Exhibition in October, though at that time it was still considered 'under construction' as it was lacking some of the finer scenic detail. The work on the scenery and fine detailing has progressed well since then, and a much improved layout was exhibited at our 2012 Exhibition. 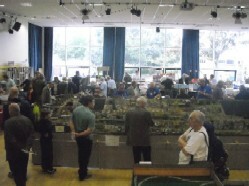 The layout's next public appearance is at the Ipswich RMA Exhibition in November 2013.